Recess now has her International Champion titile! Check back SOON for her show photo! 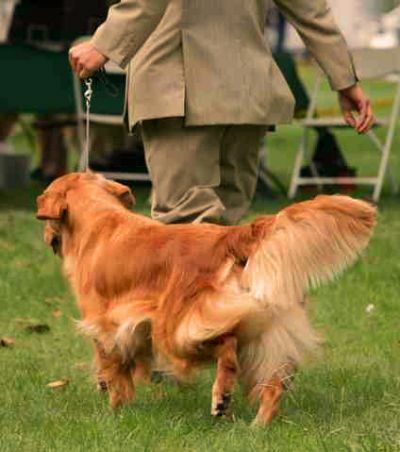 She will begin her AKC show career Oct 2009 - see you in the ring! 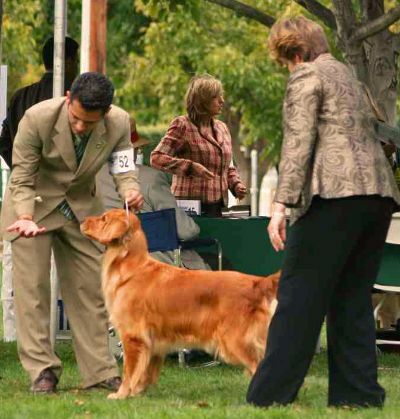 Recess in the ring with Christian at the NorCal Golden Retriever Specialty in Pleasanton, CA Oct 2009. Although they are slowing down in this photo her movement is ground-covering and she has good angulation front and rear. Dark black pigment and correct scissors bite without dropped incisors. Correct double coat, not overdone. 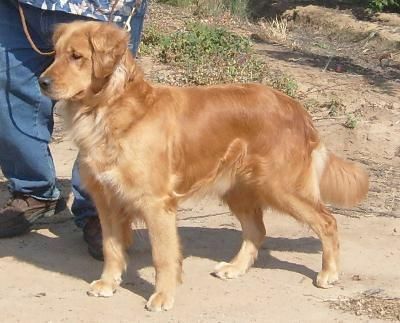 And a perfectly GOLDEN temperament! Judge going over Recess, Pleasanton CA 10/09. 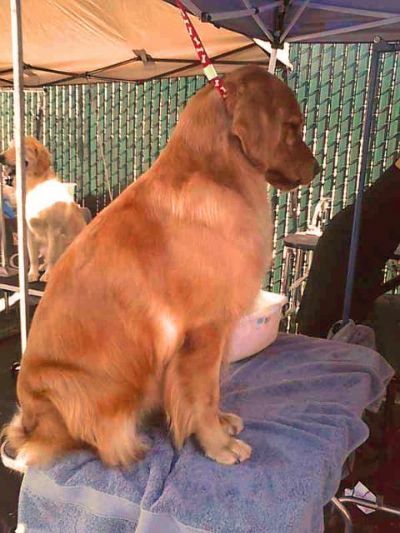 On the grooming stand waiting for her turn to run in the ring. 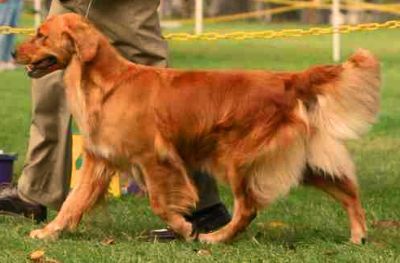 Recess completed her International Champion title the first weekend at a dog show. Her movement is ground-covering and she has good angulation front and rear. 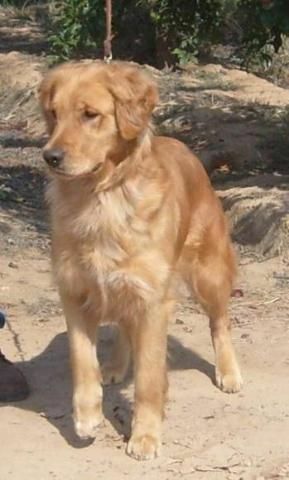 Watch for her at AKC and UKC shows in 2009 and 2010! 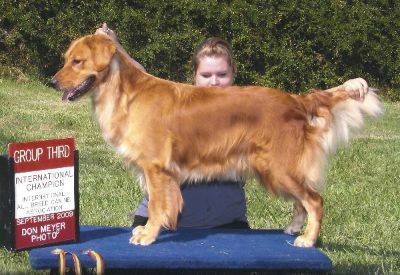 Recess is a beautiful rich golden color - darker than all of the other Promise dogs - with the possible exception of Skittles (who is now retired). 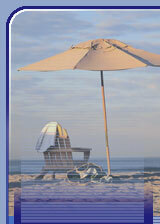 OFA clearances are amazing! Her hips are OFA EXCELLENT, elbows are OFA normal and her heart is OFA clear. She has a nice topline, dark black pigment a very nice head piece with correct ear placement and expressive eyes. 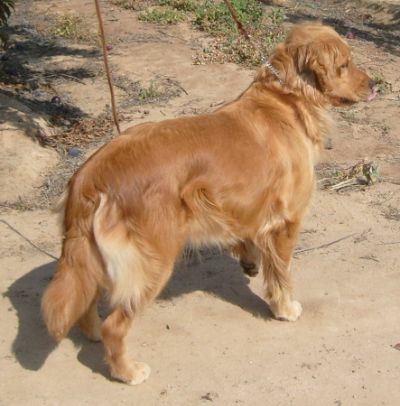 This young girl has nice bone and a correct double coat that is easy to care for. Her feathering is filling out nicely. 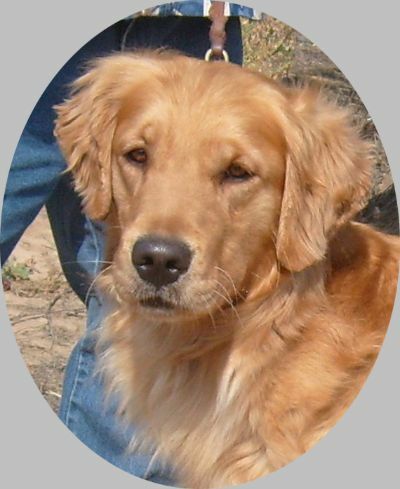 Like her name, Recess is an active, sports-minded girl with a true Golden temperament. She loves belly rubs, playing in the water bucket, puppies, cats, other dogs, kids and everyone she meets! Recess and her Nose-lick-trick. (You may not be able to see it).